Having that perfect high heel shoe is one of the most fulfilling aspects of life. This is largely because high heels come with an aura of confidence as well as professionalism. In most corporate circles, women prefer the high heel shoes to any other. Most women find the high heel shoes fashionable, which is one of the critical aspects of maintaining an edge in a competitive world. In spite of the fact that the high heel shoes come with fashion, they are not always comfortable. In fact, some of the women who are slave to these shoes suffer from conditions that include fallen arches, bunions and corns. This happens because some of the women do not have adequate information on how to find the right high heels. You can prevent the conditions caused by high heel shoes by sticking on the following principles. First, get the height that is right for you. Since there are different heights, it is important to establish the right height for your heels. You can do this by taking time to get your measurements in perspective. 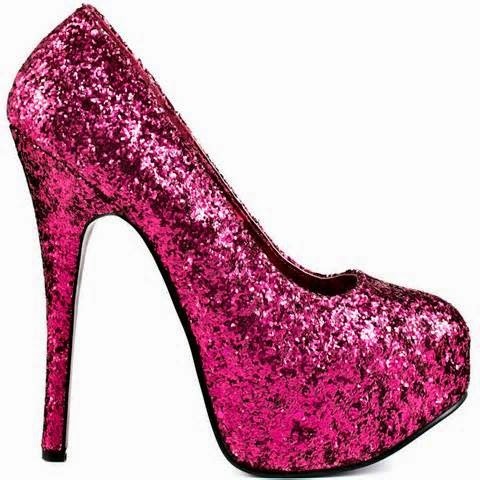 In addition, you can consult with the physician and fashion expert on the best height for your heels. Secondly, make sure that the shoe fits you perfectly. Shoes that fit perfectly are comfortable to wear. Comfort is important because pain in the feet makes it difficult to move around. Furthermore, fits that do not fit perfectly contribute to lack of concentration even when you are seating at your workstation. Thirdly, check whether you need narrow stilettos or thicker heels. Essentially, women with slender bodies find it easy to wear narrow stilettos. This is because they are lean and flexible. On the other hand, women who are slightly built should consider thicker heels. Thicker heels enhance the overall body balance and help a person to look proportional. Fourthly, it is recommended to practice walking when you are at home. This is important because it gives you room to learn how to avoid tripping and getting the right posture when walking. However, if you are always on the move, one is advised to wear shorter heels to help in maintaining posture and balance. Lastly, check the designs. There are different fashion companies that design high heel shoes. It is wise to ensure that you get high heel shoes from reputable companies. This is because these companies have experience when it comes to the right quality and standards. If you are enduring wearing high-heeled shoes, then you are not doing it in the right manner. You should take time and find out what is causing the pain. One should never ignore the pain; in essence, fashion should not be a source of pain and discomfort. Rather it should be a source of joy and confidence. One should not rush to the latest trends without taking time to understand how to get the best out these trends. This is the perfect way to get the right high heels that will enable you to blend, style, comfort and confidence. These days with a slew of clothing designers expanding their range by coming up with their own shoe collections, it's not enough just to make your usual pair of shoes anymore. Designers have to find new ways to make their designs stand out.If you want to more information about Best Shoes for bunions visit our site. What woman doesn't want to look absolutely fantastic in a pair of high heel stilettos? Many will spend hours looking for that perfect shoe, without thinking twice about the price. But for those of us who love finding a great deal or looking good without breaking the bank, cheap high heels is exactly what you are looking for.I find a website for the best Women Boots for Comfortable Work . If you want you can visit this site. Wooooooow ! Zumba shoes would work great. Any kind would work, just make sure to look for something with only a little bit of tread on the bottoms. You want to be able to twist without your shoes sticking! slippers for women link to the new Zumba shoes!!!!!! !